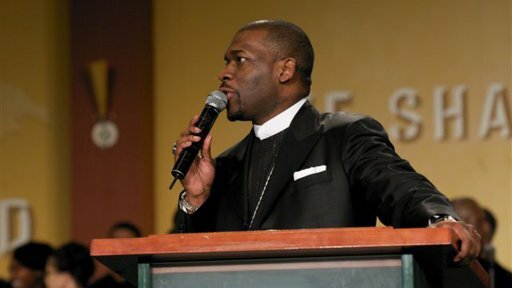 Pastor Jamal H. Bryant, a spiritual advisor to Michael Brown’s family, is urging African-Americans to buy exclusively from businesses owned by black people on Black Friday, America’s busiest shopping day. Michael Brown, 18, was killed by white Officer Darren Wilson on August 9, in Ferguson, Missouri. Jamal Bryant launched his campaign earlier in the week using the hashtag #handsupdontspend – a reference to a slogan used by Ferguson protesters. It’s been tweeted more than 7,000 times, with other hashtags pushing the campaign including #notonedime, #boycottblackfriday and #blackoutblackfriday. “It’s my hope that black businesses and the black community will benefit,” he says, citing a study that said African-Americans collectively spend $1 trillion a year. Jamal Bryant says that a sustained campaign of economic pressure would serve as a protest against police violence. “America responds to money more than they do to masses,” he says. Kicking back against Black Friday isn’t a new idea. For more than 20 years the anti-capitalist magazine Adbusters has urged people to give the shops a miss on what it calls Buy Nothing Day. Jamal Bryant stressed his action isn’t a boycott but rather a call to support businesses owned by black people across the US. The events in Ferguson over the past week have inspired a number of online fundraising drives, including one by a bakery that was damaged during rioting and the Ferguson public library. Jamal Bryant cited the 1960s civil rights movement as an example of the power of economic action.